My relationship with Dragon Ball has always been a rocky one. I enjoyed “Dragon Ball Z” as a child, and kept up with “Super” through word of mouth, only tuning in for the occasional big fight or important plot point, but I’ve never been ecstatic enough about the series to consider myself a huge fan. Dragon Ball has always suffered from the issue of putting action first and plot second. Over time, it has become painfully apparent that little of the characters’ actions or grand sacrifices have made much of an impact in the long run (as fun as they are to watch). First and foremost, Dragon Ball has always been a spectacle, something to admire without putting much thought into the brilliantly animated energy blasts and transformations that raise the stakes of its glorified fist fights. “Dragon Ball Super: Broly” is no different. Its plot is nonexistent and its contribution to in-universe lore (while interesting) is an extremely small aspect. What makes this film so enjoyable, however, is that it never tries to present itself as something it’s not. The aforementioned plot set-up is rather simple: Frieza wants to gather the Dragon Balls to make a wish and sends the Frieza Force to steal them from Bulma’s lab. She flies Goku and Vegeta to Antarctica, where Frieza (joined by the newly recruited Broly) meet them. 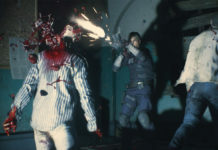 What follows is an over 40 minute-long slugfest that escalates from tearing through icebergs to shattering dimensions, transforming the continent into a molten wasteland (yes, really). It feels strange to continue writing from here, since one can only wonder how to review what is essentially a drawn-out anime fight scene with a viewing fee, but I’ll do my best to break down the film without too many spoilers. The initial banter between Goku and Vegeta is great as always, and yet again, the Dragon Ball franchise delivers on spectacular dubbing. The humor lands and never feels too forced; it’s interesting to note that for the first time in a very long time, the humor is integrated into the plot. The reason why Bulma was gathering the Dragon Balls is because she wanted to ask Shenron to make her five years younger (Frieza’s reason for stealing them is equally ridiculous). This alone makes the film infinitely more enjoyable. Instead of putting the universe or the demise of our heroes at stake, “Broly” lets loose and creates the wackiest plotline possible. It even pokes fun at the tropes Dragon Ball has always suffered from; Frieza’s genuine surprise when Broly doesn’t immediately transform, Vegeta’s tsundere act that he gives up within a minute and even the method of Broly’s eventual transformation all are genuinely funny, and feel refreshing compared to the likes of “Dragon Ball Super’”s plotlines (which were just boring tangents in between the great fights). Speaking of the fights, which are a Dragon Ball staple, this film more than delivers. The animation is so fluid and clean, it makes “Battle of Gods” look like a budget episode. The initial fight between Vegeta and Broly is probably the most consistent in quality because admittedly, the later fight with Goku (and the following fight where the duo teams up) suffers from some questionable usage of CGI. This is understandable, as expecting action sequences this long to be completely hand drawn would be asking a bit much. Nonetheless, it still detracts from the sheer energy the fights exude, which is unfortunate because the drop off comes near the fight’s climax. 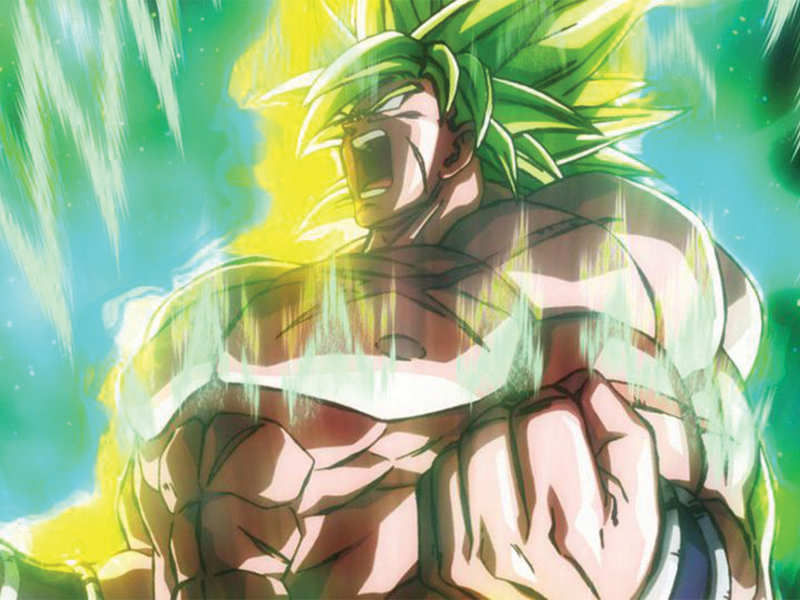 Ultimately, “Dragon Ball Super: Broly” is more Dragon Ball for Dragon Ball fans. The action is amazing, the humor calls back to the older days of the original series and the lore exploration is interesting enough on its own. 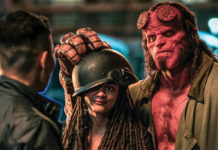 While this film is far from a revolutionary new direction for the series, it’s definitely the franchise, and its endearing elements, at their peak. Verdict: From spectacularly choreographed fights to breathtaking animation, “Dragon Ball Super: Broly” delivers on the Dragon Ball experience. The film won’t change viewers’ opinion about the series or its characters, but for fans seeking another over-the-top exhibition, it’s a must see.